I was referred to photograph Marissa and Jon’s wedding a couple of weeks before their wedding day.. so we had to skip all the fluffy stuff and get down to business right away. I am so happy that fate had it that we would work together and that they would be some of the best people I have ever worked with and danced with. In fact — I stayed over an hour longer than I was supposed to just so I could dance with all of their guests and family. Marissa and Jon’s wedding day was on a beautiful September Saturday in Northern Michigan and it was filled with buckets of laughter, hugs, and happy tears. 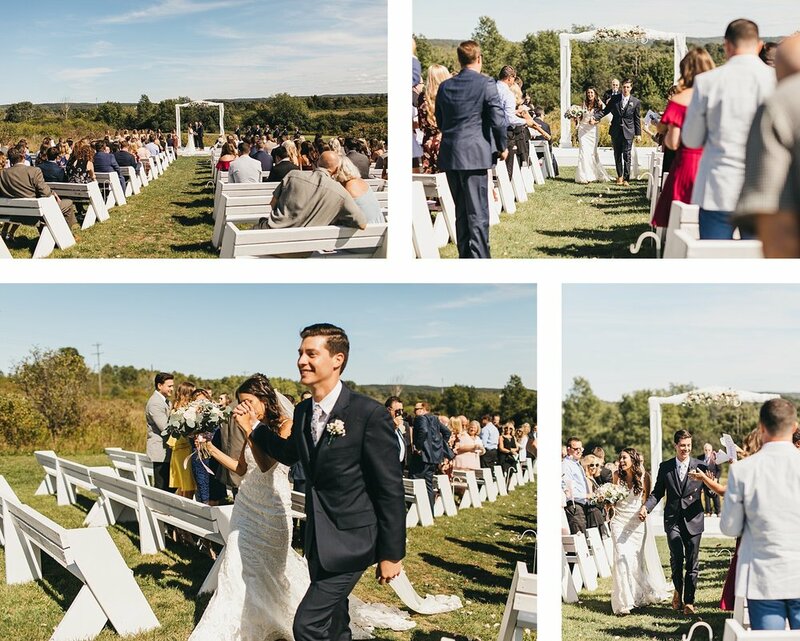 The day started with an emotional first look where vows were exchanged and led into a drive through town on a party bus with gorgeous stops along the way. The ceremony was later in the day and had me tearing up the entire time because Marissa’s grandfather was the officiant. Later the day ended with even more tears from all of the bridesmaids as Marissa’s dad gave a speech but nonetheless the night was capped off with so much dancing and a fifth of fireball with a go-pro attached (see Jon for footage of Grandma taking a pull on the dance floor). Jordan Valley Barn near Charlevoix, Michigan was the perfect backdrop for this wonderful couple.